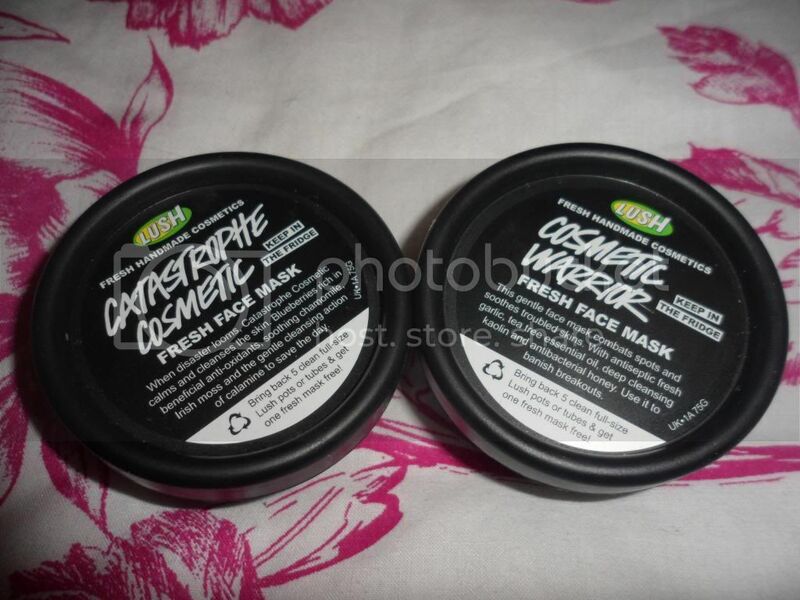 Catastrophe Cosmetic is a great cleansing mask. It really makes my skin feel clean and fresh and the chamomile and talc in the formula calm redness and puffiness. This is a great mask to use a few times a week when your skin feels really congested and in need of a good clear out, not necessarily if your skins breaking out. I've used Cosmetic Warrior a few times and it really helps to calm down breakouts and it actually feels like it's doing some good for my skin. The mask is made from garlic, tea tree, grapes, egg and honey which means it is both antiseptic and moisturising. Most treatments aimed at spots strip the skin leaving it tight and dry, this mask is really moisturising and my skin feels soft and nourished after I've used it. Ooh I really like the idea of the second one, antiseptic but moisturising... sounds perfect! It's really helped my skin when it's having a bit of a fit. Definitely check it out next time you're in Lush.